The Jamaica Urban Transport Company (JUTC) says it has made adjustments to its operations in light of the major traffic changes implemented across sections of the Kingston Metropolitan Transport Region. 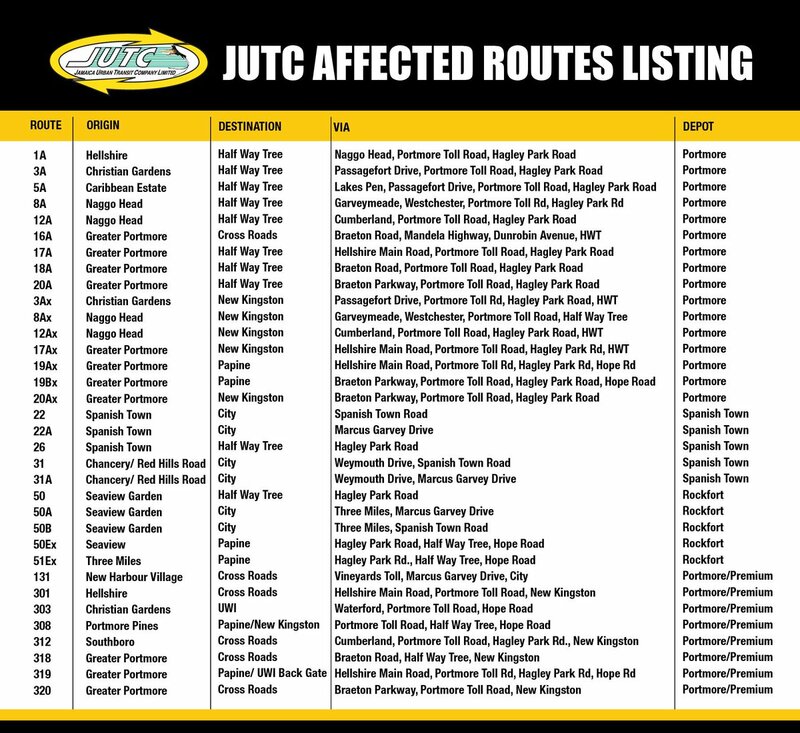 The JUTC says a total of 34 routes are affected, 24 of which are in Portmore, St Catherine. The bus company says it has introduced an early bird service in the municipality which starts at 5:30 a.m. at Dawkins Drive. It notes that a similar service was implemented just before Summer in Spanish Town which saw buses being deployed from 4 a.m. until 5:30 a.m. to move mass commuters. 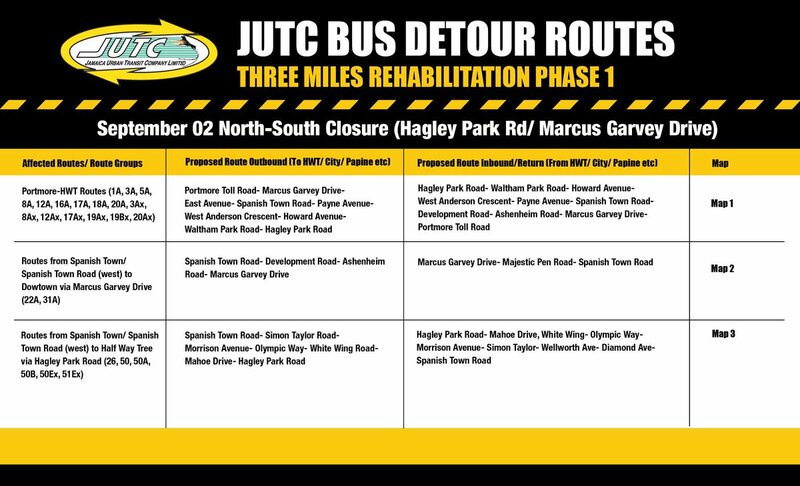 The JUTC has also implemented detour routes for its buses in light of the traffic changes. The state-run bus company is appealing to commuters for understanding and restraint as there will be increased traffic and delays. It says it is working closely with the National Works Agency and the Jamaica Constabulary Force with regards to traffic management and to minimise the impact on commuters. 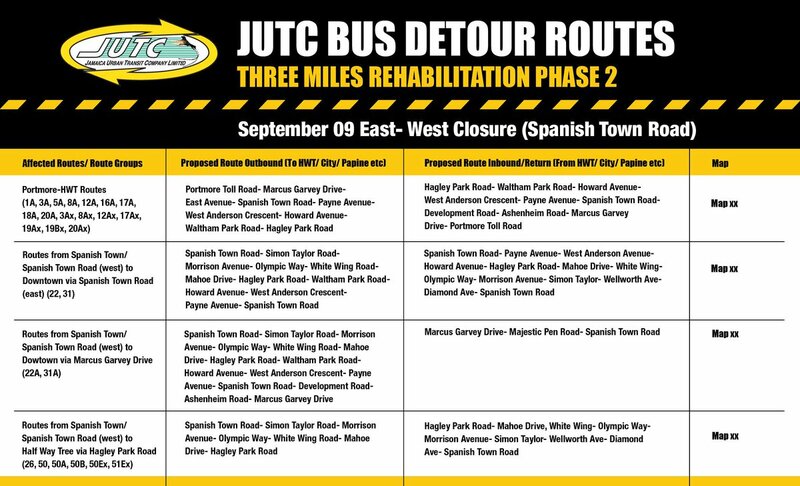 The JUTC is urging commuters to keep track of detours by following its social media pages, noting that it is a fluid situation as road improvement works intensify.